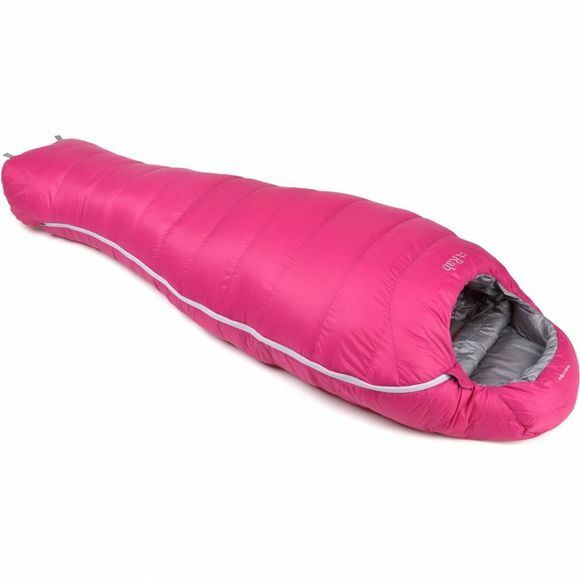 The Womens's Neutrino 400 Sleeping Bag is a lightweight down filled sleeping bag. It utilises 800 fill power Hydrophobic European goose down wrapped in very lightweight Pertex Quantum inner and outer fabric, this allows maximum loft for the down for minimum weight. This bag has a mummy taper shape that maximises warmth for minimum weight. This is a great sleeping bag aimed at lightweight end users where every gram counts making it ideal for fast and light mountaineering, cycle touring, and ultralight backpacking.